This spring America’s oil companies are expected to produce a record 10 million barrels of American crude a day, largely due to another record that is expected to fall in coming months: By the end of the year, fracking intensity is projected to exceed levels reached in 2014 — the height of the so-called shale revolution — as hydraulic fracturing operations use more sand, water and pumping horsepower than ever before to free oil and gas from shale rock. The result: U.S. crude production should reach an all-time high with just half the number of drilling rigs used at the peak of the last energy boom. Welcome to the year of the fracker. The controversial technology that transformed the U.S. energy industry and reshaped global oil markets has advanced to a new level, becoming more science than art as fracking operations run round the clock, target ever smaller sections of wells with greater precision and greater force, and squeeze more oil out of every well. As fracking plays an even larger role in oil production, it is boosting oil-field services companies like Halliburton that employ tens of thousands of people in Houston and Texas as well as creating more jobs near the state’s shale fields, particularly the Permian Basin in West Texas, and increasing the flow of oil and gas to fuel an export boom of crude, chemicals and liquefied natural gas along the Gulf Coast. It also is intensifying environmental concerns about air and water pollution, the destruction of habitat, the future of endangered species and increased number of earthquakes, which have been tied to the millions of barrels of chemical-laced wastewater that are pumped into deep, underground disposal wells. “There are still people out there subjected to significant health impacts and potential property damage or, at least, having the wits scared out of them,’’ said Luke Metzger, director of the advocacy group Environment Texas. 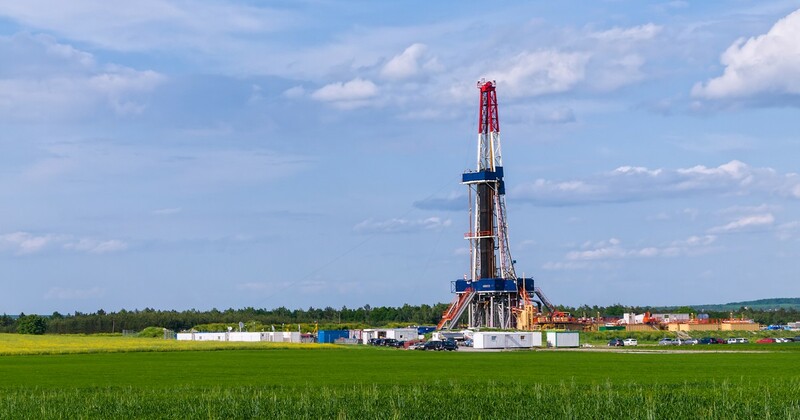 Hydraulic fracturing, or fracking, is the high-pressure injection of water, sand and chemicals to crack shale rock and release oil and natural gas. When energy companies combined fracking with horizontal drilling, it allowed producers to tap multiple reservoirs of oil and gas from a single rig site, ultimately reviving U.S. oil fields and transforming the industry. Today, 90 percent of the wells in the Permian Basin are drilled horizontally, up from just 10 percent in 2014. The amount of sand used in the largest wells has soared to 50 million pounds, up from an average of 3 million four years ago, while water consumption has surged to about 25 million gallons per well, up from about 5 million. In 2018, there is one fracking fleet for every two drilling rigs, up from one fleet for every four rigs a few years ago. 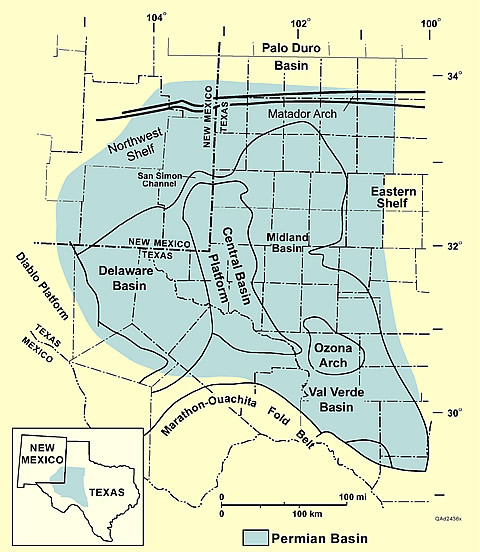 The number of sections, or stages, of a well the get fracked has doubled, from about 25 to 50. Fracking is powered by fleets of a dozen or more semi-trucks connected to pressure pumps that increasingly run 24-hours a day, seven days a week. The U.S. record for pressure pumping intensity, set in 2014 ,was about 18 million horsepower. Already this year, frackers have deployed roughly 15 million horsepower and analysts project it could hit 19 million by the end of the year as new fracking fleets are assembled. Halliburton, which leads North American fracking market, said it built a handful of new fleets at the end of the last year and is likely to add more. Schlumberger, the world’s largest oil-field services company, said it may spend $100 million to upgrade and unleash 20 fracking fleets recently acquired from Weatherford International, which has its main operations in Houston. That effort is only expected to grow with some 7,000 drilled wells waiting to be fracked, nearly double the number in 2014, when oil prices were still at $100 a barrel. ProPetro, a Midland, Texas, oil-field services company, said it could double its number of fracking crews from 10 at the beginning of 2017 to 20 by the end of this year. ProPetro’s 17th fracking fleet is about to come online. Each fracking fleet requires a crew of about 30 people, about 15 for each 12-hour shift. ProPetro has tripled its workforce in less than 18 months, from 400 to 1,200 – all working in the Permian. Houston-based Patterson-UTI Energy is known for its drilling, but the company’s fracking revenues exceeded 50 percent for the first time late last year. That trend is expected to continue for the foreseeable future as it keeps starting up more fracking fleets, said Mark Siegel, the company chairman. In January, five workers were killed in Oklahoma in an explosion involving a Patterson-UTI rig. Siegel was interviewed before the tragedy. Byron Pope, an energy analyst at the Houston investment bank Tudor, Pickering, Holt and Co., suggested that fracking horsepower may become a better indicator of U.S. oil and gas production than the rig count, as companies introduce high-tech rigs that can drill more wells that are longer and closer together. The active U.S. rig count was 936 in early February, more than double its recent low of 404 in May 2016, but far below the nearly 2,000 rigs that were operating in 2014. The pivot to fracking was anticipated this year, but the big question now is how much activity might accelerate if oil prices stay near $65 a barrel compared to $45 at mid-2017. Exploration and production companies are expected by analysts to boost spending in U.S. oil fields by least 20 percent this year and much of that increase will go to cover the costs of fracking crews working in the Permian Basin and other U.S. shale fields. Spot-on analysis and great information for the layperson. This will be a helpful guide for explaining fracking to the uninitated! Thanks.